As part of becoming a NSTWP TC, each teacher produces two or three pieces of writing during their Summer Institute in addition to a report on their teacher inquiry. 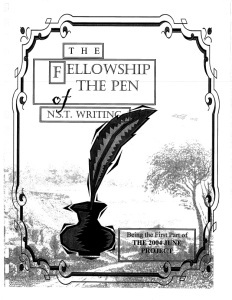 Many of these teachers have continued writing as part of their work, either through blogging or by publishing in education journals. Also, many TC’s go on to present at local, regional, and national conferences about writing instruction in their classrooms and in their work. 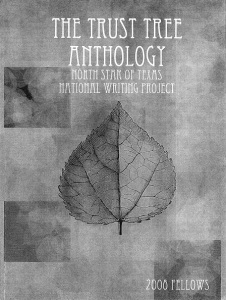 Many of our TC’s are working on publishing books or book chapters about their work, as well as writing curriculum for their school districts and for NSTWP. This section will highlight some of our teacher writers, from personal pieces to professional publications. Following that are highlights of some of our teacher presenters. This section is under development – more to come! 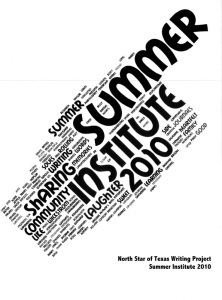 Traditionally, writing project sites offer a Summer Institute, a three to four week training for teachers interested in learning more about how to incorporate writing into their instruction. 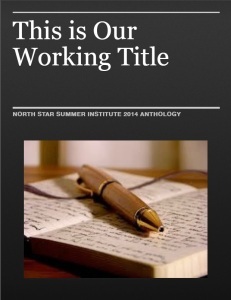 As part of Summer Institute, participants write several pieces and publish an anthology of their work. 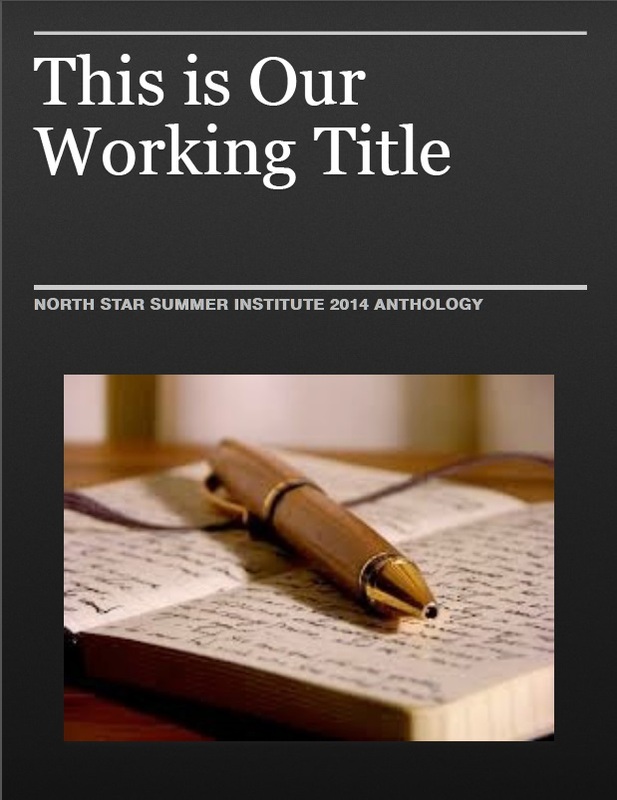 Following are anthologies from previous Summer Institutes. Adams, M. (2013). It only takes a spark, and it’s inside of you: Students take the torches we pass with surprising grace. English in Texas, 43(1), 18-25. Adams, M., Cato, H., & Rasmussen, A. (2011). An educational chop shop (nothing illegal – just a classroom overhaul): Moving learning for the grade to learning for life. English in Texas, 41(1), 50-56. Adams, M. (2011). Julie Child & Project-Based Learning: PBL as your main course. English in Texas, 41(2), 51-57. Araujo, J., & Wickstrom, C. (in review). Teacher actions in two adolescent English language arts classrooms during writing instruction. Writing Research across Borders III, (pp. 1-25), Paris, FRA: Writing Across the Curriculum Clearinghouse. Stewart, M. A., Araujo, J., Knezek, L., & Revelle, C. (in review). Tapping in to English learner’s experience through relevant literature. The English Journal, 1-14. Araujo, J. (November, 2013). Expanding the learning zone: Decisions that transform the practices of two English language arts teachers. 35th Association of Literacy Educators and Researchers Yearbook, (pp. 1-18), Louisville, KY: Association of Literacy Educators and Researchers. Rodriguez, C., Araujo, J., Narayan, R., Shappeck, M., & Moss, G. (Summer 2012). Nurturing long-term language learners. English in Texas, 42(1), 62-67. Wickstrom, C., Araujo, J., Patterson, L., (with Hoki, C., & Roberts, J.). (2011). Teachers prepare students for careers and college: “I see you”, therefore I can teach you. In P. Dunston, K. H. Gambrell, P. Stecker, S. Fullerton, V. Gillis, & C. C. Bates (Eds. ), 60th Literacy Research Association Yearbook, (pp. 113-126), Oak Creek, WI: Literacy Research Association. Patterson, L., Baldwin, S., Araujo, J., Shearer, R., & Stewart, M. (November, 2010). Look, think, act: Using critical action research to sustain reform in complex teaching/learning ecologies. Journal of Inquiry and Action in Education, 3(3), 139-157. Patterson, L., Wickstrom, C., Roberts, J., Araujo, J., & Hoki, C. (Winter 2010). Deciding when to step in and when to back off: Culturally mediated writing instruction for adolescent English language learners. The Tapestry Journal, 2(2), 1-28. Narayan, R., Rodriguez, C., Araujo, J., Shaqlaih, A., & Moss, G. (2013). Constructivism—Constructivist Learning Theory (pp. 169-184). In B. J. Irby, G. Brown, & R. Lara-Alecio. (Eds.) and P. Jenlink (Sect. Ed. 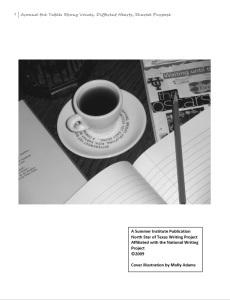 ), the Handbook of Educational Theories. Charlotte, NC: Information Age Publishing, Inc.
Araujo, J., Kovalyova, N., Shappeck, M., & Rodriguez, C. (June 2014). Review of the book Teaching vocabulary to English learners, By Graves, M. F., August, D., & Mancilla-Martinez, J., Journal of Latinos and Education, 13(3), 235-237, Routledge. Araujo, J., & Moss, G. (2012). Review of the book Educating citizens for global awareness, by Noddings, N. (Eds.). Teacher Education and Practice, 599-603, Baltimore, MD: Rowan and Littlefield Publishing Group. Araujo, J., & Wickstrom, C. (2014). Teacher actions in two adolescent English language arts classrooms. Writing Research Across Borders III. Paris, France. Araujo, J. (2013). Actions, Reactions, Interactions, and Transactions. Literacy in Learning Exchange. Downloaded on March 8, http://www.literacyinlearningexchange.org/blog/actions-reactions-interactions-and-transactions. Bauer, C. M. (2014). Navigating critical conversations requires feedback. The Reading Teacher, 67(6), 454. Curtis, J. S. (2012). The number fairy. China: SunFung Catalogs & Books. Curtis. J. S. (2012). Just keep breathing: At 44 he died. She didn’t. Englewood, CO: Hugo House Publishers, Ltd.
Wickstrom, C. D., Curtis, J. S., & Daniel, K. (2005). Ashley and Junie B. Jones: A struggling reader makes a connection to literacy. Language Arts, 83(1), 16-21. Mohr, K. A. J., Dixon, K. & Young, C. (2012). Effective and efficient: Maximizing literacy assessment and instruction. In Ortlieb, E. T., & Cheek, Jr., E. H. (Eds.). Literacy research, practice and evaluation: Vol 1 (p. 293-324). Using informative assessments for effective literacy practices. Bingley, UK: Emerald Group. Hight, C., Edwards, L., Leininger, K., & The, C. (2014). Review of Putting FACES on the data: What great leaders do! English in Texas, 43(2), 83-84. Wickstrom, C., Araujo, J., Patterson, L. with Hoki, C., & Roberts, J. (2011). Teachers Prepare Students for Careers and College: “I See You,” Therefore I Can Teach You. In P. J. Dunston, L. B. Gambrell, C. C. Bates, S. K. Fullteron, V. R. Gillis, K. Headly, & P. M. Stecker (Eds.). 60th Literacy Research Association Yearbook. Oak Creek WI: Literacy Research Association. Isgitt, J., & Donnellan, Q. (2014). Discussion-based problem-solving: An English-calculus collaboration emphasizes cross-curricular thinking skills. English Journal, 103(3), 80-86. Wickstrom, C., Patterson, L., & Isgitt, J. (2012). 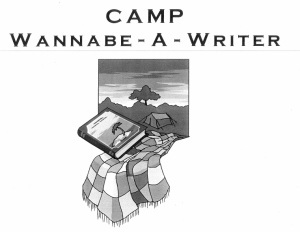 One teacher’s implementation of culturally mediated writing instruction. In P. J. Dunston, L. B. Gambrell, C. C. Bates, S. K. Fullerton, V. R. Gillis, K. Headly, & P. M. Stecker (Eds.). 61st Annual Conference of the Literacy Research Association Yearbook. Oak Creek WI: Literacy Research Association. Miller, D. (2014). Sadie & Ratz. Language Arts, 91(4), 293. Miller, D. (2014). See you at Harry’s. Language Arts, 91(4), 294. Miller, D. (2014). The one and only Ivan. Language Arts, 91(4), 294. Miller, D. (2014). Hades: Lord of the dead. Language Arts, 91(4), 292. Miller, D. (2013). Lemonade: And other poems squeezed from a single word. Language Arts, 90(4), 289. Miller, D. (2013). The scorpio races. Language Arts, 90(4), 292. Miller, D. (2013). A monster calls: A novel. Language Arts, 90(4), 295. Miller, D. (2013). Over and under the snow. Language Arts, 90(4), 289. Miller, D. (2013). Breadcrumbs. Language Arts, 90(4), 297. Miller, D. (2013). Reading in the wild: The book whisperer’s keys to cultivating lifelong reading habits. San Francisco, CA: Jossey-Bass. Miller, D. (2012). Creating a classroom where readers flourish. 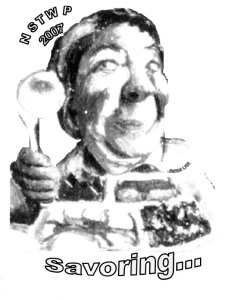 The Reading Teacher, 66(2), 88-92. Miller, D. (2010). Best book awards for teaching to the test. Instructor, 15(3), 25. Miller, D. (2009). Effective reading instruction for gifted readers. Gifted Education International, 25(3), 281-285. Miller, D. (2009). The book whisperer: Awakening the reader in every child. San Francisco, CA: Jossey-Bass. Mogk, K. (2012). Text, talk, and tips [Review of Almost Home], English in Texas, 42(2), 50-51. Patterson, L., Holladay, R., & Eoyang, G. (2013). Radical rules for schools: Adaptive action for complex change. Circle Pines, MN: Human Systems Dynamics Institute. Hill, M., & Patterson, L. (2010). 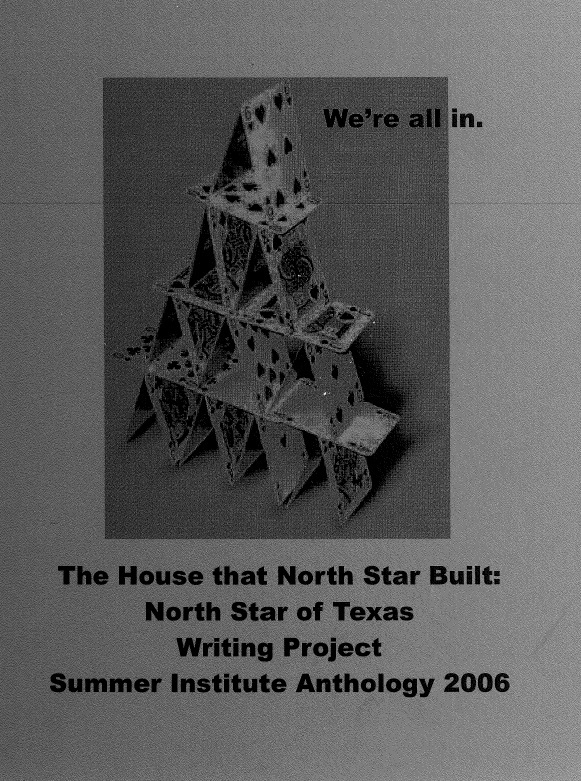 How Texas politics impact English Language Arts and reading: An historical perspective. English in Texas, 40(2), 27-32. Patterson, L., Wickstrom, C. D., & Araujo, J. (2010). 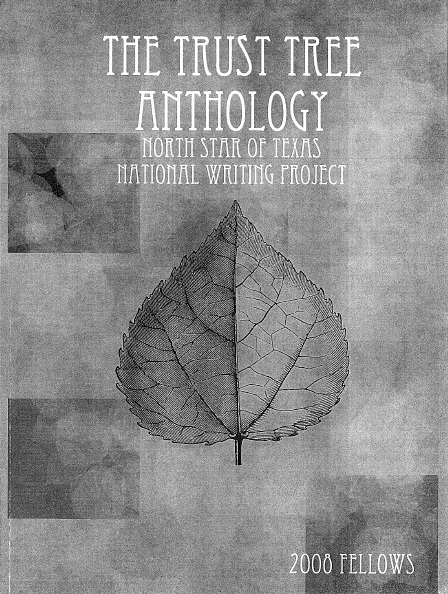 North Star of Texas Writing Project: Culturally Mediated Writing Instruction for Adolescent English Learners. Local Site Research Initiative Comprehensive Report: LSRI Cohort V. www.nwp.org, 1-57. Patterson, L., Wickstrom, C. D., & Araujo, J. (2010). Culturally Mediated Writing Instruction for Adolescent English Learners. 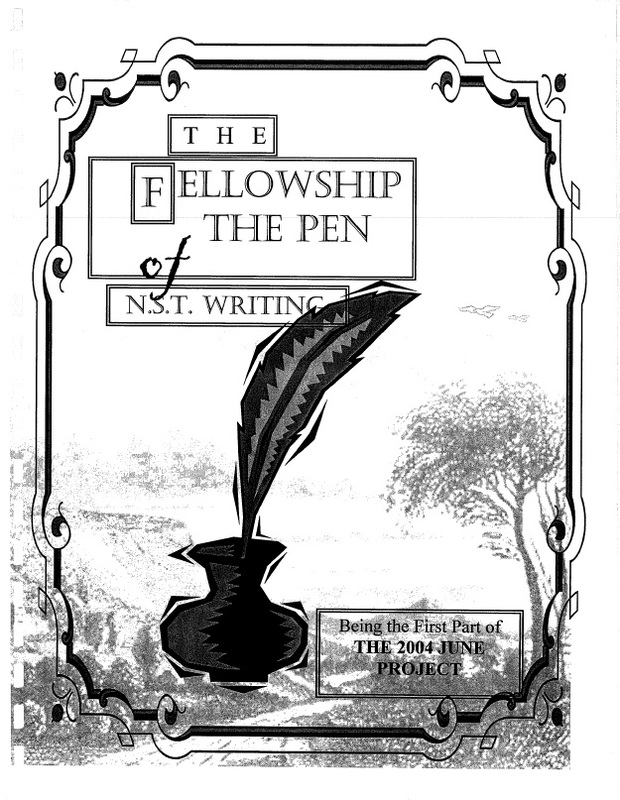 www.nwp.org. Patterson, L. (2009). Taking an inquiry stance: Professional books that talk back to mandates. English in Texas, 39(2), 41-46. Bassett, N., & Patterson, L. (2006). Book Review of Educators on the Frontline: Advocacy strategies for your classroom, your school, and your profession. English in Texas, 36(2), 72-73. Mohr, K. A., Wickstrom, C., Bernshausen, D. M., Mathis, J. B., & Patterson, L. (2003). Sharing the challenge: Using threaded discussion groups to build teacher resiliency. International Electronic Journal for Leadership in Learning, 7(11). Revelle, C. L. (Spring 2014). Engaging student inquiry with authentic topics. READ: Reading, Exploration, and Discovery, 33(1), 7-10. Revelle, C. (Spring 2014). Always be selling: Overcoming barriers with reluctant secondary readers. Oregon English Journal. Portland, Oregon. Nathans, L., & Revelle, C. (2013). An analysis of cultural diversity and recurring themes in preservice teachers’ online discussions of Epstein’s six types of parent involvement, Teaching Education, 24(2), 164-180. Revelle, C. (In Press). “The poster board.” In J. Landsman, R. Salcedo, & P. Gorski (Eds. 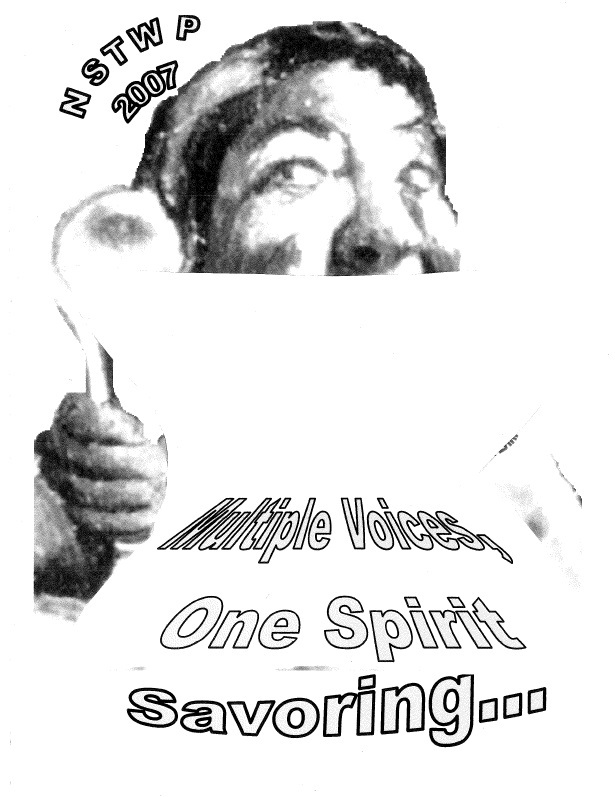 ), Voices for social justice in education: A literary anthology. Fairfax, VA: EdChange. Revelle, C., & Gonzales, K. (2011). What does this have to do with me? Reaching out toward humanity in the ELA classroom. 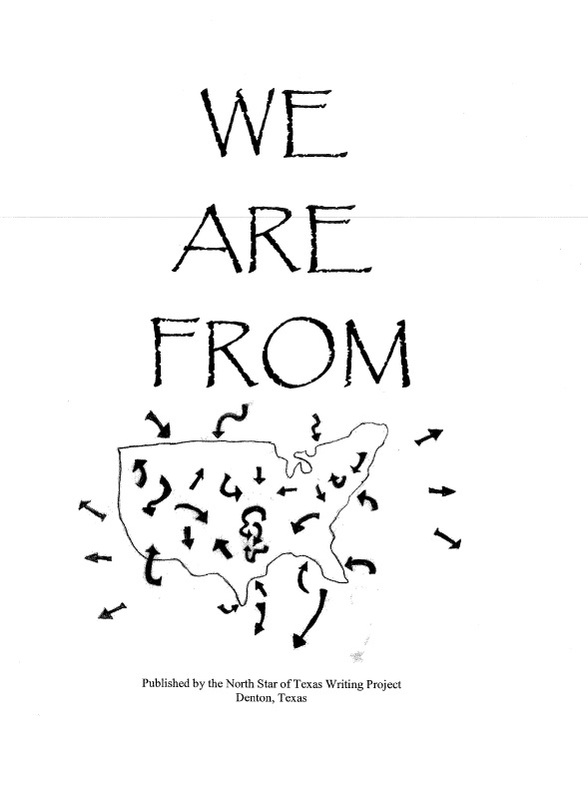 English in Texas, 41(2), 65-69. Revelle, C. L. (2011). Text, talk and tips. [Review of the book Truth With a Capital T], English in Texas, 41(1), 36. Revelle, C. L. (2007). Multigenre options: A tool for research with secondary students. English in Texas, 37(1), 41-43. Ramirez-Robertson, J. (2013). Unplanned, English in Texas, 43(1), 43. Robertson, M. (2013). Unfinished, English in Texas, 43(1), 44. Robertson, M., & Simpson, A. (2012). Learning communities and leadership: What teachers say about shared classroom implementations. Journal of Reading Recovery, 12(1)27-35. Sanders, A. (2012). Rosenblatt’s presence in the new literacies research.Talking Points, 24(1), 2-6. Mathis, J. B. Bailey, A., Knezek, L., Morton, T., Sanders, A., Shearer, R., & Stewart, M. (2011). Nonfiction access to information, insight, and imagination. The Dragon Lode, 29(2), 3-11. Sarker, A., & Shearer, R. (2013). Developing literacy skills for global citizenship: Exploring personal culture and mining cultural gems from classroom experts. English in Texas, 43(2), 4-10. Stewart, M. A. (2014). Social networking, workplace, and entertainment literacies: The out-of-school literate lives of newcomer Latina/o adolescents. Literacy Research & Instruction, 53(4), 347-371. Stewart, M. A. (2014). When the professional gets personal: Carrying the torch of bilingualism into our homes. NABE Perspective, 36(1), 18-20. Stewart, M. A. (2014). Living here, yet being there: Facebook as a transnational space for newcomer Latina/o adolescents. Tapestry Journal, 5(1), 28-43. Stewart, M. A. (2014). “I don’t want to write for them.”: An at-risk Latino youth’s out-of-school literacy practices. NABE Journal of Research and Practice. 5(1). Stewart, M. A. (2013.) “What up” and “TQM”: Latina/o English learners writing on Facebook to acquire English and maintain their Latina/o identities. In K. E. Pytash & R. E. Ferdig (Eds. ), Exploring Technology for Writing and Writing Instruction. IGI Global, Hershey, PA, 328-344. Stewart, M. A. (2013.) Giving voice to Valeria’s story: Support, value, and agency for immigrant students. Journal of Adolescent and Adult Literacy, 57(1), 42-50. Stewart, M. A. (2012). Juxtaposing the immigrant and adolescent girl experiences: Literature for all readers. English Journal, 101(5), 17-22. Stewart, M. A. (2010). Writing with power, sharing their immigrant stories: Adult ESOL students find their voices through writing. TESOL Journal, 1(2), 86-100. Stewart, M. A. (2010). Walking in my students’ shoes: An ESL teacher brings theory to life in order to transform her classroom. Networks: An On-line Journal for Teacher Research. 12(1), 1-6. Patterson, L., Baldwin, S., Araujo, J., Shearer, R., & Stewart, M. A. (2010). Look, think, act: Using critical action research to sustain reform in complex teaching/learning ecologies. Journal of Inquiry and Action in Education. 3(3), 139-157. Stewart, M. A. (2009). Utilizing English language learners’ L1s in the secondary classroom to maximize learning potential. In M. Cowart & P. Dam (Eds. ), Teaching English Language Learners: An International Perspective. Canh Nam Publishers, Arlington, VA, 218-235. Stewart, M. A. (2014). Social networking, workplace, and entertainment literacies: The out-of-school literate lives of newcomer Latina/o adolescents. Reading Research Quarterly, 49(4), 365-369. Stewart, M. A. (2013). What is “educated” in the 21st century? Phi Delta Kappan, 94(7), 57-60. Stewart, M. A. (2010). Review of Dying to cross: The worst immigrant tragedy in American history. In TESOL Journal, 1(1), 176-178. Stewart, M. A. (2009). Review of In the year of the boar and Jackie Robinson. In Essential Teacher, 6(1), 41. Wickstrom, C. (2013). Inquiry can be transformative: From “I will make him write” to “He will learn to write.” In S. Szabo, L. Martin, T. Morrison, & L. Haas (Eds.). Literacy is Transformative. (pp. 255-274). Louisville, KY: ALER. Wickstrom, C. D. (2013). Developing preservice teachers for 21st century teaching: Inquiry, the multigenre research paper, and technology. In Still, K., Fertig, R., & Rasinski, T. (Eds.) Preparing Teachers to Teach Writing Using Technology. Wickstrom, C. D. (2004). High school students need more than mandated phonics instruction. The English Journal, 93(5), 66-71. Wickstrom, C. D. (2003). A “funny” thing happened on the way to the Forum. Journal of Adolescent and Adult Literacy, 46(5), 414-423. Wilson-Youngblood, A. (2012). Text, talk, and tips [Review of Code Name Verity], English in Texas, 42(2), 52. Wilson, A. (2007). A linking lesson: One boy’s arrival and one teacher’s insight. English in Texas, 37(1), 51-52. Patterson, L., Araujo, J., Baldwin, S., Shearer, R., Stewart, M. A. & Stringer, E. (2010, May). Connecting complexity thinking to the sustainability in action research in educational settings. Paper presented at the annual meeting of the American Educational Research Association, Denver, CO.
Wickstom, C.D. (2012). Inquiry can be transformative: From “I will make him write” to “He will learn to write.”. Presented at Association of Literacy Educators and Researchers Annual Conference, Grand Rapids, MI. I am From…: Using George Ella Lyon’s Popular Mentor Poem to Support Content-Area Reading, present by Carol Revelle at the Billie J. Askew Reading Recovery and K-6 Literacy Institute, Dallas, Texas, November 2014. Never Hear “I Don’t Have Anything to Write About” Again, presented by Juanita Ramirez Robertson and Marla Robertson at the Billie J. Askew Reading Recovery and K-6 Literacy Institute, Dallas, Texas, November 2014. Persuading Prose from Persnickity Pupils, presented by Polly Vaughan, Marla Robertson, and Juanita Ramirez Robertson at the Billie J. Askew Reading Recovery and K-6 Literacy Institute, Dallas, Texas, November 2013. Revelle, C. (November 2013). Responding to texts using creative writing strategies. Billie J. Askew Reading Recovery and Literacy Institute, Dallas, Texas. Patterson, L., & Wickstrom, C.D. (2012). Sustaining the good stuff: Using Human System Dynamics to build adaptive capacity. Texas Woman’s University 2012 Billie Askew Reading Recovery and K-6 Literacy Institute, Dallas, TX. Winning Writers’ Workshop, presented by Polly Vaughan and Marla Robertson at the Billie J. Askew Reading Recovery and K-6 Literacy Institute, Dallas, Texas, November 2012. Robertson, M., Smith, J., Ramirez-Robertson, J., & Vaughan, P. (2013). Catching fire: Using inquiry to ignite learning in a writing classroom. San Antonio, Texas: International Reading Association Annual Meeting. Stewart, M. A. (2012, May). Juxtaposing the immigrant and adolescent girl experiences: Literature for all readers. Paper presented at the International Reading Association’s 57th Annual Conference, Chicago, IL. Wickstrom, C.D., Bauer, C. & Shearer, R. (2011). Cultivating empowering literacy experiences for all through global literature and their cultural identities. International Reading Association Annual Conference, Orlando, FL. Using Assessment to Teach with Intention: Teachers’ Perspectives on Early Literacy Assessments, presented by Katrena Leininger, Clarene Hight, Lacia Edwards, and Cheryl The at the Literacy Research Association Conference, Marco Island, Florida, December 2014. Assessment Policies Influence on Teacher Decisions About Writing, presented by Marla King Robertson at the Literacy Research Association Conference, Marco Island, Florida, December, 2014. Middle School Students’ Participation and Interaction Within Summer Online Literature Discussions, presented by Jennifer Smith at the Literacy Research Association Conference, Marco Island, Florida, December 2014. Patterson, L., Araujo, J., Wickstrom, C., Revelle, C., and Bence, J. (December 2013). Setting conditions for generative learning for adolescent English learners – Or not! Literacy Research Association, Dallas, TX. Stewart, M. A. (2012, December) Living here, yet being there: Facebook as a transnational space for newcomer Latina/o adolescents. Literacy Research Association Annual Conference, San Diego, CA. Stewart, M. A. (2011, December). “I don’t want to write for them”: An at-risk Latino youth’s out-of-school literacy practices. Paper presented at the 61st annual Literacy Research Association/National Reading Conference, Jacksonville, FL. Patterson, L., Robertson, M., Dixon, K., Martin, T., & Izbrand, S. (2011). Blogging as a tool for political action: New literacies and the 2011 Save Our Schools March. Jacksonville, Florida: Literacy Research Association Annual Meeting. Wickstrom, C.D., & Patterson, L. (2011). The language of teaching and learning when teachers enact the principles and practices of Culturally Mediated Writing Instruction with English Language Learners. Presented at the 61st Annual Conference of the Literacy Research Association, Jacksonville, FL. Mathis, J., Knezek, L., Morton, T., Sanders, A., Shearer, R. & Stewart, M. A. (2010, December).Teachers as first responders in selecting literature for classroom use: Rosenblatt invites understandings into literature selections for contemporary classrooms. 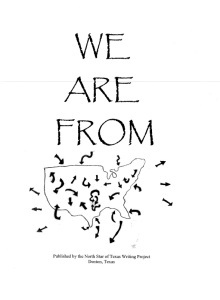 Paper presented at the 60th annual National Reading Conference, Fort Worth, TX. Patterson, L., Araujo, J., Baldwin, S., Shearer, R., & Stewart, M. A. (2009, December). Action research: Talking back to mandates, and “best practices”. Paper presented at the 59th annual National Reading Conference, Albuquerque, NM. Narrative Nonfiction as a Door to Scaffolding Learning for Students from Diverse Backgrounds, presented by Alyson Beecher, Cynthia Alaniz, and Lisa Morris-Wilkey at the National Council of Teachers of English Language Arts Annual Convention, Washington, DC, November 2014. Strength in Divergence: Stories of Connection and Communication for State Affiliates, presented by Dixie Keyes, Amy Rasmussen, and Carol Revelle, at the National Council of Teachers of English Language Arts Annual Convention, Boston, Massachusetts, November 2014. Standing Committee against Censorship and the Assembly on Literature for Adolescents. (November 2014). Carol Revelle – Featured Session – Diane Ravitch: Censorship, freedom, and democracy. National Council of Teachers of English, Washington DC. The Landscape of Workshop: The Story of Reading and Writing Workshop Across America, presented by Penny Kittle, Amy Rasmussen, Erika Bogdany, Jacqueline Cather, and Shana Karnes at the National Council of Teachers of English Annual Convention, Washington, DC, November 2014. MacVay, R., Revelle, C., and Menning, L. (November 2013). The English classroom teaches global awareness. National Council of Teachers of English, Boston, MA. Writing Teacher (Re)Inventing Literacy Instruction by Following the North Star, presented by Audrey Wilson-Youngblood, Kelly Mogk, Heather Cato, Amy Rasmussen, and Amanda Goss at the National Council of Teachers of English Language Arts Annual Convention, Boston, Massachussetts, November 2013. Patterson, L., Wickstrom, C., Araujo, J., Stewart, M., and Revelle, C. (November 2013). Literacy leadership, generative learning, and the common core. National Council of Teachers of English, Boston, MA. Reinventing the Teaching of English: Literacy Leadership, Generative Learning, and Responsive Teaching, presented by Carol Revelle, Leslie Patterson, Mandy Stewart, Carol Wickstrom, and Juan Araujo at the National Council of Teachers of English Language Arts Annual Convention, Boston, Massachussetts, November 2013. The English Classroom Teaches Global Awareness: (Re)Inventing a Future through Social Action, presented by Carol Revelle at the National Council of Teachers of English Language Arts Annual Convention, Boston, Massachussetts, November 2013. Bence, J., Sloan, C., Williams, M. (November 2014). From newsroom to classroom. National Writing Project Annual Meeting, Washington DC. Wickstrom, C., & Patterson, L. (November 2014). Building site capacity and learning together through leadership institutes and opportunities. National Writing Project Annual Meeting, Washington DC. Fletcher, S., Lemberg, J., Perl, S. Wagner, D, and Revelle, C. (November 2014). The role of inquiry in teaching about the Holocaust and genocide. National Writing Project Annual Meeting, Washington DC. Williams, M., Bence, J., Sloan, C., Rami, M. (March 2014). Do Now: Civic engagement in the digital age. National Writing Project Spring Meeting, Washington DC. An Idea That Worked, presented by Heather Cato, Amy Rasmussen, and others at the National Writing Project Annual Meeting, Boston, Massachussetts, November 2013. From Newsroom to Classroom, Janelle Bence, Chris Sloan, and Matt Williams at the National Writing Project Annual Meeting, Boston, Massachussetts, November 2013. Directing a Writing Project Site Then, Now, and Beyond – 40th Anniversay Strand, presented by Juan Araujo and others at the National Writing Project Annual Meeting, Boston, Massachussetts, November 2013. Swain, S., Vetter, C., Goss, A., & Wickstom, C.D. (November 2012) The AWC in Action. National Writing Project Annual Conference, Las Vegas, NV. Many TC’s present at this conference each year. Following are programs from a few recent TAIR conferences. Relevance, Relationships, and Reading Lives: Fostering Reading Engagement in All Readers, presented by Donalyn Miller, Teri Lesesne, Karin Perry, and Cynthia Alaniz at the Annual Conference of the Texas Council of Teachers of English Language Arts, Corpus Christi, Texas, January 2014. How Do You Get Your Professional Development? presented by Sheila Richburg, Donalyn Miller, and Molly Adams at the Annual Conference of the Texas Council of Teachers of English Language Arts, Corpus Christi, Texas, January 2014. Critical Conversations: discovering Cultural Identity Through Multigenre Inquiry, presented by Laura Slay at the Annual Conference of the Texas Council of Teachers of English Language Arts, Corpus Christi, Texas, January 2014. Analyzing Complex Texts for Analytical Writing, presented by Carol Revelle at the Annual Conference of the Texas Council of Teachers of English Language Arts, Corpus Christi, Texas, January 2014. Reading Writing Workshop in High school?, presented by Amy Rasmussen and Trista Anderson at the Annual Conference of the Texas Council of Teachers of English Language Arts, Dallas, Texas, January 2013. Revelle, C. and Flanagan, M. (January 2013). What matters: Using photographs to engage students with social issues and personal reflection. Annual Conference of the Texas Council of Teachers of English and Language Arts, Dallas, Texas. The Nerdy Book Club: How Teacher Readers Ignite Classroom Reading Communities, presented by Donalyn Miller, Audrey Wilson-Youngblood, and Cynthia Alaniz at the Annual Conference of the Texas Council of Teachers of English Language Arts, Dallas, Texas, January 2013. And Then They Came for Me: Our Lifelong Responsibility for Each Other, presented by Carol Revelle and Melissa Alexander at the Annual Conference of the Texas Council of Teachers of English Language Arts, San Antonio, Texas, January 2012. Twitter Schmitter: You Really Believe There’s a Place for This Social Media in Education?, presented by Amy Rasmussen, Heather Cato, and Molly Adams at the Texas Council of Teachers of English Language Arts, San Antonio, Texas, January 2012. Revelle, C. (2010, June). REALsearch: Double entry documentation. 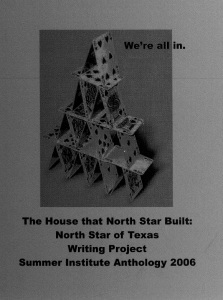 North Texas Council of Teachers of English Language Arts, Bedford, TX. Revelle, C. (2009, January). Service learning: Converting social issues into social action. Annual Conference of the Texas Council of Teachers of English Language Arts, Forth Worth, TX. Revelle, C. (2008, October). Developing democratic dialogue with peer journals. Region I Regional Conference of the Texas Council of Teachers of English Language Arts, Edinburg, TX. Revelle, C. (2008, January). Pilot study: What does it look like when students develop agency at all levels of schooling engaging in an active public life? Annual Conference of the Texas Council of Teachers of English Language Arts, Houston, TX. Revelle, C. (2008, January). Developing democratic dialogue with peer journals. Annual Conference of the Texas Council of Teachers of English Language Arts, Houston, TX. Stewart, M., Araujo, J., Revelle, C., and Knezek, L.(February 2014). Using multilingual and multicultural literature that promotes academic and personal success for ELs. National Association for Bilingual Educators, San Diego, CA. Blanton, C., Guevara, M., and Revelle, C. (June 2014). Bullying: The Cause de Jour. Texas Association of School Boards Summer Institute, Fort Worth, Texas. Revelle, C. (2011, February). Author skyping: Connecting students to bilingual authors. National Association for Bilingual Education, New Orleans, LA. Wickstrom, C.D., Araujo, J., Patterson, L., Hoki, C. (2011). Culturally mediated writing instruction: Conversations of teaching to promote academic writing in adolescents. Writing Research Across Borders Conference. Arlington, VA.